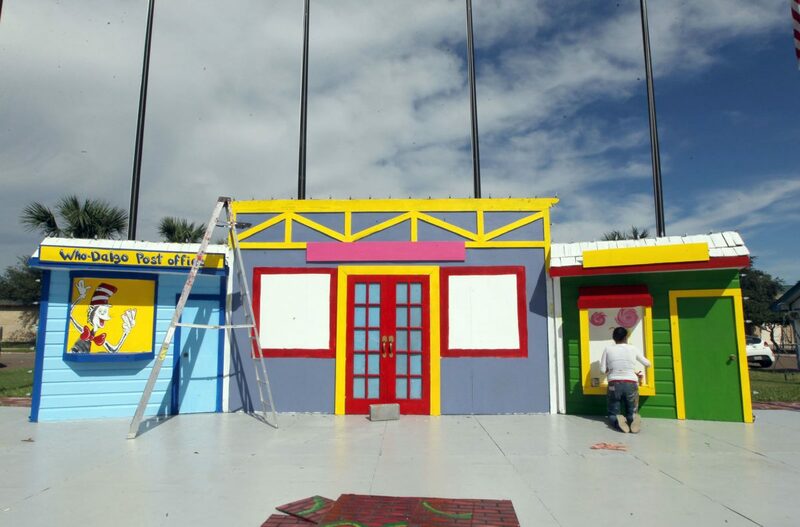 Leiza Dircio puts finishing touches on the main stage for the Festival of Lights at city of Hidalgo offices on Thursday Nov. 15, 2018, in Hidalgo. The month-long event offers residents from across the Rio Grande Valley, northern Mexico and even Canada, an opportunity to tour more than 500 Christmas light displays located throughout the city’s main corridor. City leaders estimate more than 5 million lights will illuminate the sky on any given night. 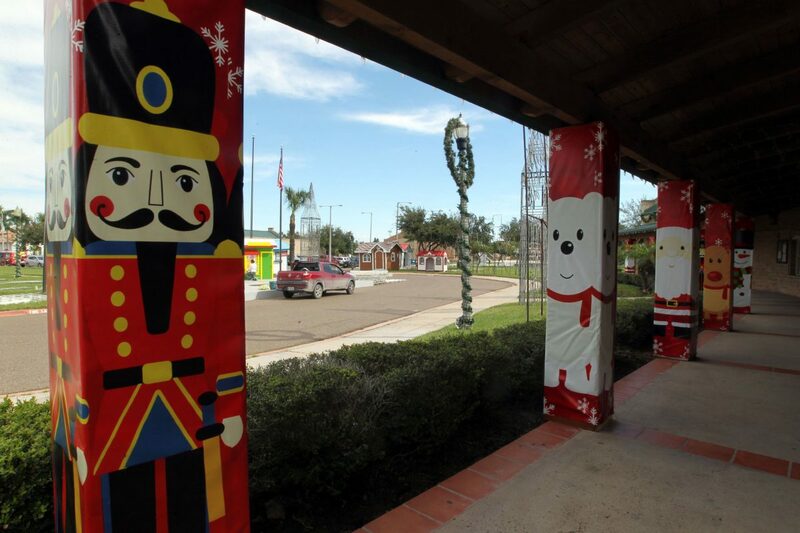 All of the displays are created and setup by staff at the city’s parks and streets department, which work for months on the tedious displays. 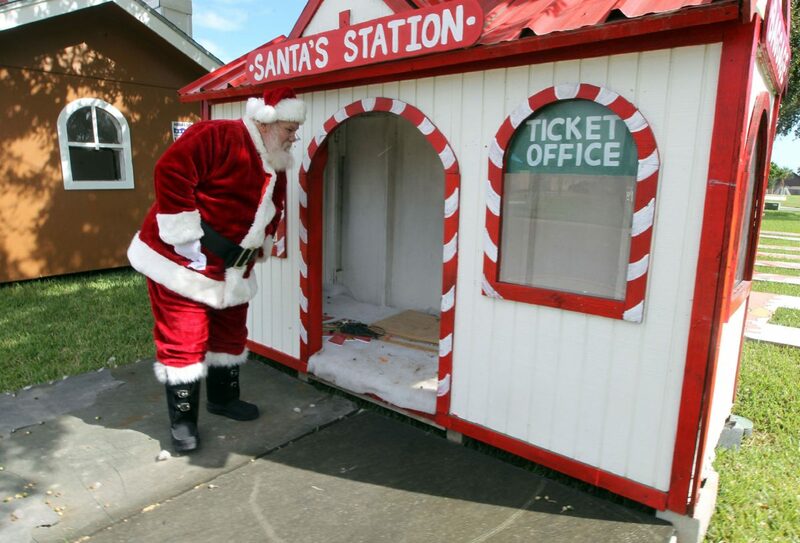 Todd Jandreau dressed as Santa Claus, checks out Santa's Station during the City of Hidalgo Festival of Lights at city offices on Thursday Nov. 15, 2018, in Hidalgo. 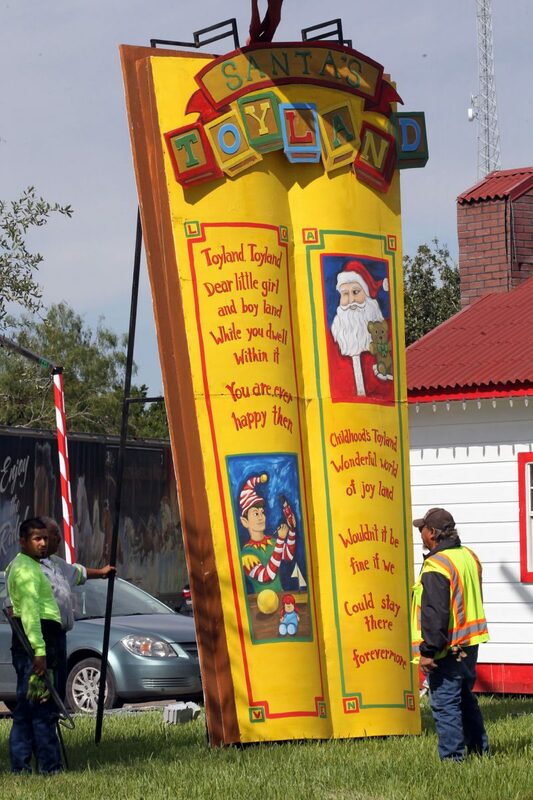 City of Hidalgo workers install a Santa's Toy Land Book at city offices on Thursday Nov.15, 2018, in Hidalgo. City of Hidalgo preparing for their Festival of Lights show at their city offices on Thursday Nov. 15, 2018, in Hidalgo. The event kicks off Nov. 30 with an illuminated parade and runs through the end of December. About 800,000 tours are given each year, city officials said at a press conference Thursday. Tours start at $5. There are also tours with dinner packages available for $12. Coca Cola was once again introduced as the event’s title sponsor, marking the second year the worldwide company partners with the city of Hidalgo. “Those of you who have not attended, shame on you,” Coca Cola representative Frank Sanchez joked. Every Tuesday, the Coca Cola polar bear will be available for pictures from 8 to 10 p.m., and visitors can also take advantage of Santa’s workshop and a carnival.